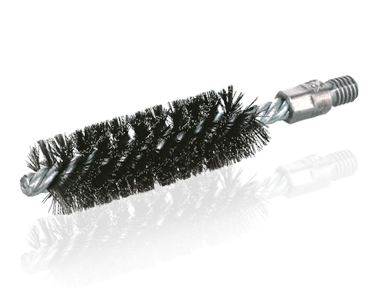 HK - KOTI twisted in brushes are insiders when it comes to deburring. They are used in wide-ranging industries. For deburring O-ring recesses and boreholes, for cleaning pipes and smoothing. 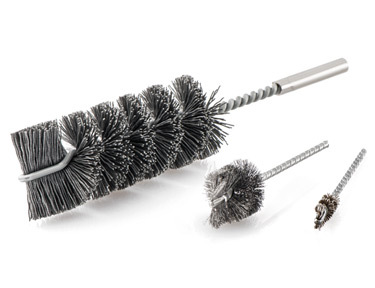 Rust and scale removal are also no problem for these brushes. They come in as many variations as their different applications: for instance in cylindrical, conical, stepped or wing shapes. 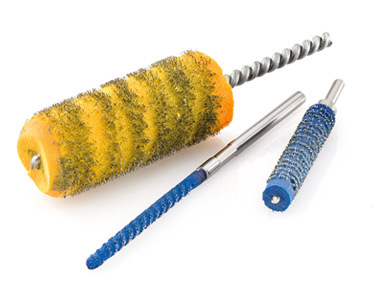 Twisted in brushes from HK - KOTI are additionally available with a shaft and thread. The wires are embedded in an elastic plastic compound, making them particularly aggressive with a long service life. 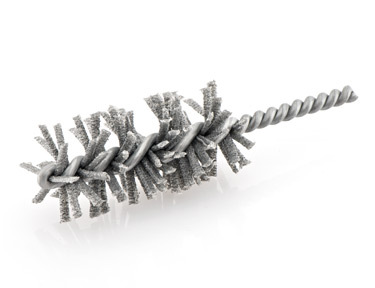 This type of twisted in brushes with their characteristic wing shape are particularly suitable for intensive cleaning of boreholes and inner surfaces due to their compact, highly dense filling. They are available with outside diameters from 5 mm. 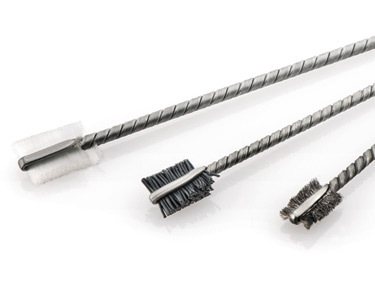 Combi brushes feature a dense filling and are ideally suitable for cleaning threaded boreholes, and brushing edges and long-shaped recesses.